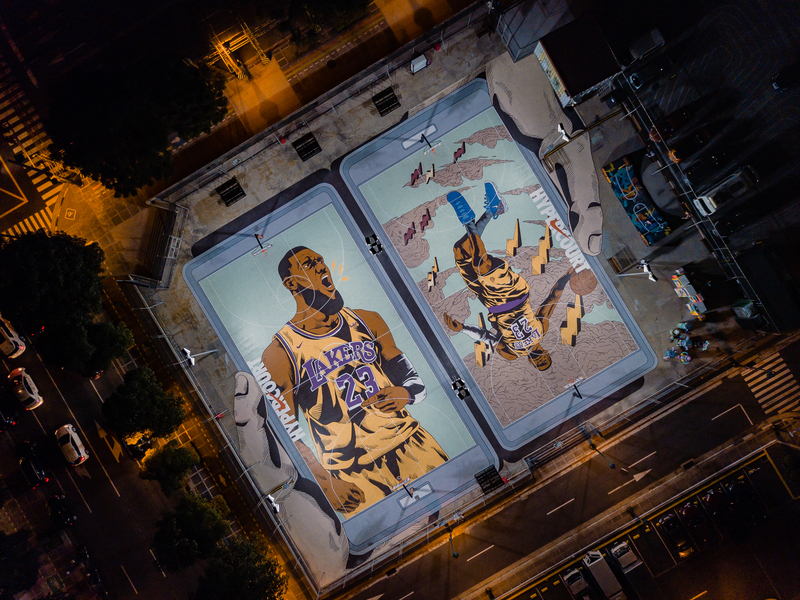 January 25, 2019 MANILA, PHILIPPINES – After its 2017 launch in the heart of one of the country’s most vibrant business districts, the Nike LeBron Hypercourt in Bonifacio Global City gets a nifty makeover. King James now sports the Purple and Gold of the Los Angeles Lakers on the hardcourt floor. 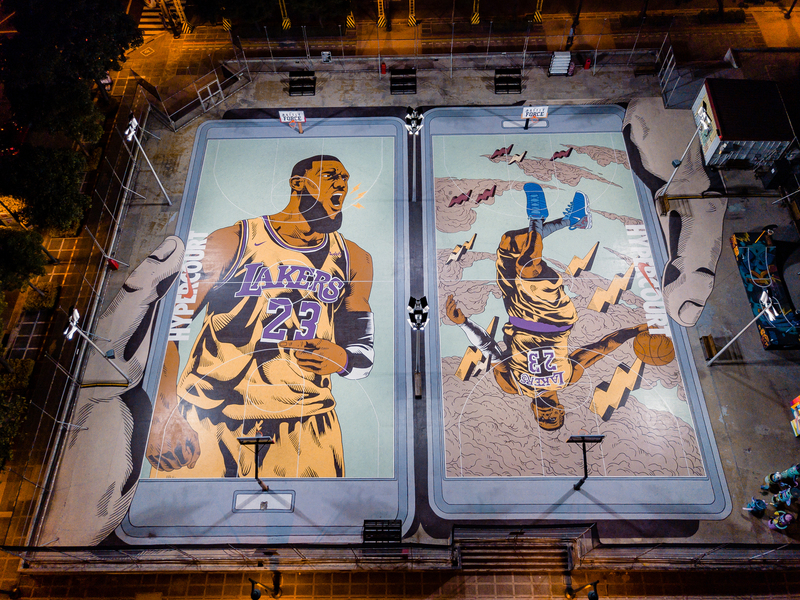 The two side-by-side urban jungle basketball courts still show LeBron in full body dunk mode in one and in half body portrait in the other. But his old uniform has been changed to the resplendent yellow Lakers Icon Edition unis — the very same one LeBron made his Lakers debut in last October. As the excitement for the King’s return builds up after a month long hiatus from injury, Nike also unveils the latest version of the Nike Hypercourt that carries the King’s likeness. The King is expected to return to court in the next few days. 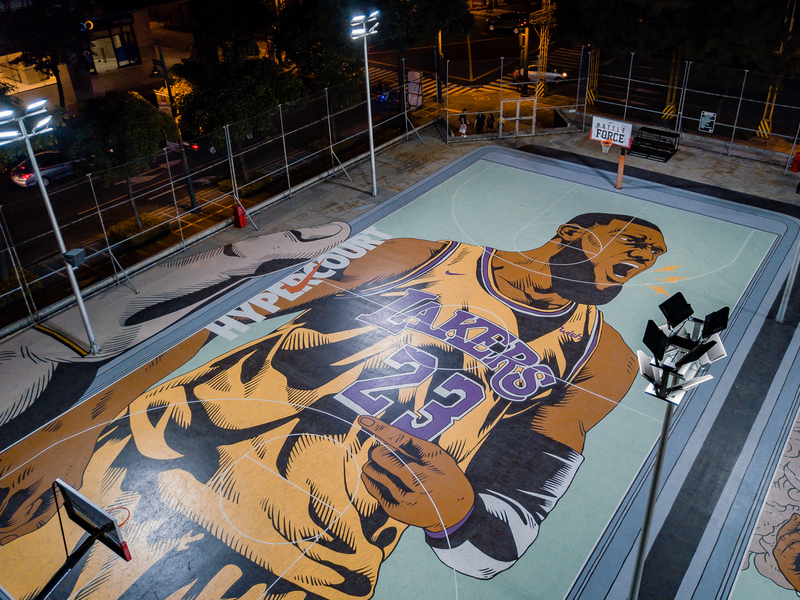 More photos of the Nike LeBron Hypercourt in Bonifacio Global City can be found below.